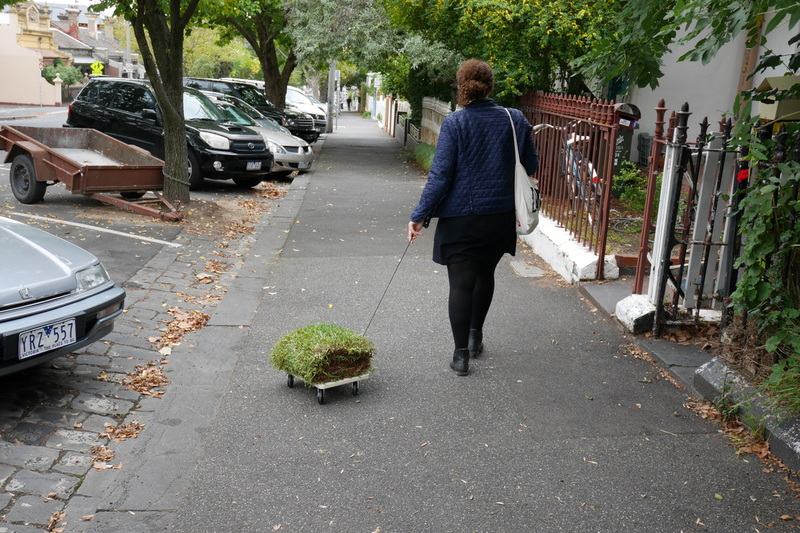 ​Walking the Grass is a public walking performance, pulling a rolled up piece of turf on a small trolly through the inner suburbs of Melbourne. The performance was documented using photography. 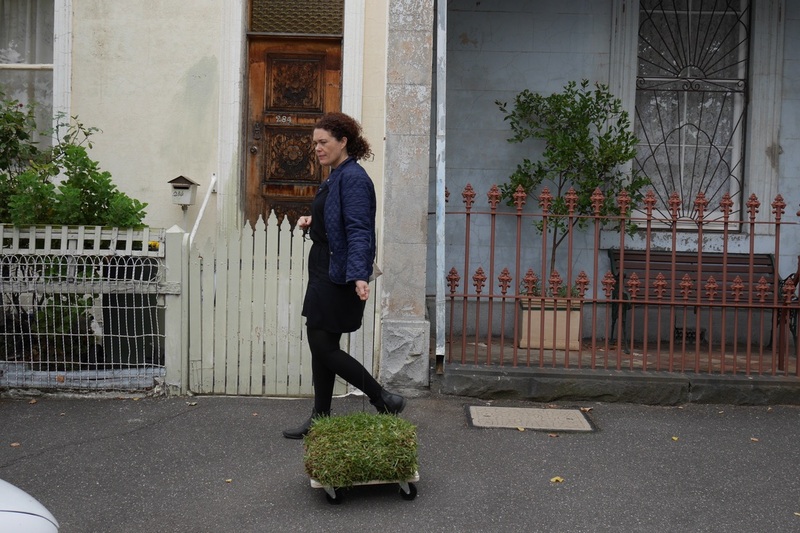 The intention is to explore performance using the self as subject. 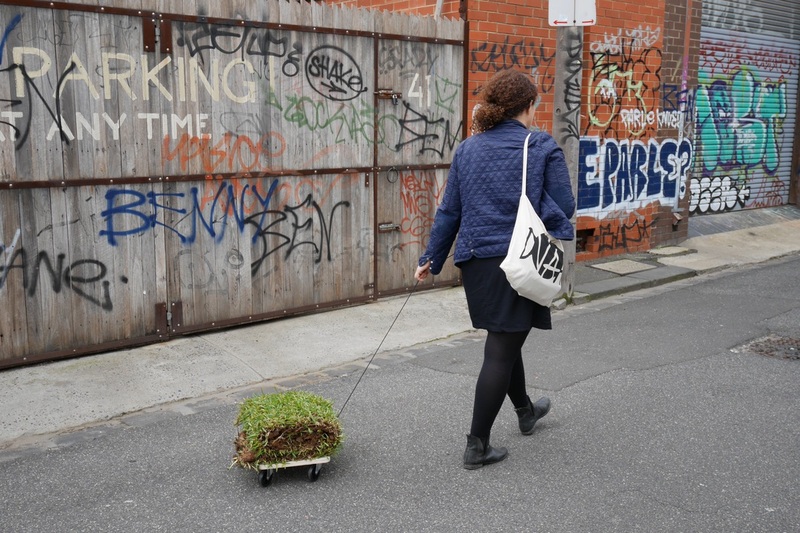 Create a non gallery based work and use a living object to create a sense of belonging. 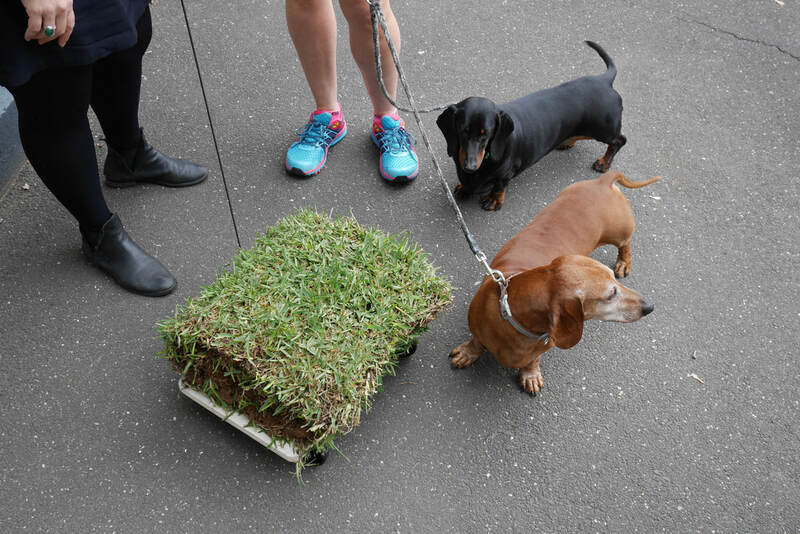 Transporting a familiar object to new surrounding is used as a place making tool and experiments with humor and absurdity through the use of domesticating or giving value to a living thing other than a human or animal.